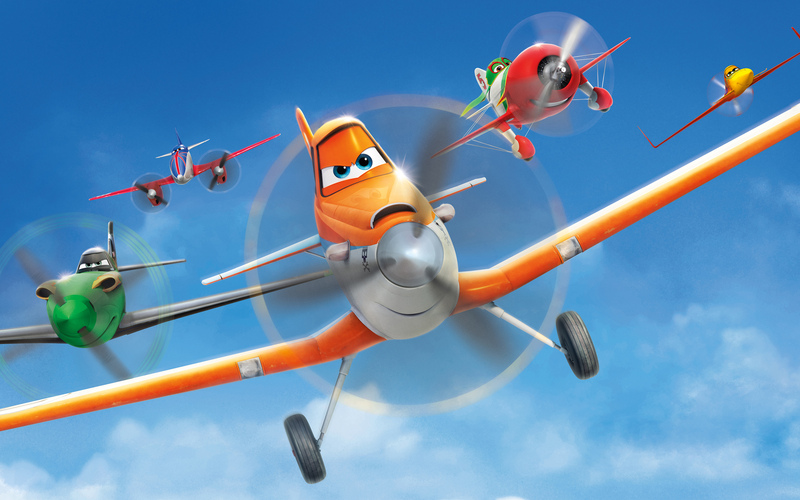 Following the commercial (if not critical) success of Pixar’s Cars (2006) and its sequel, it’s unsurprising – if disheartening – that we now have Planes (2013), a Disney spin-off set in the same universe. You’d be forgiven for thinking that the project sounds lazy, particularly for a studio which is renowned for its originality, and over the course of 92 underwhelming minutes these suspicions are confirmed. Directed by Klay Hall, the extremely predictable narrative follows protagonist Dusty Crophopper (Dane Cook), a lowly small-town crop-dusting plane with dreams of competing with his heroes in the world famous global aerial race. With support from trusty friend and ace mechanic Dottie (Teri Hatcher), cheerful fuel truck Chug (Brad Garrett) and eventual mentor Skipper (Stacy Keach), Dusty soon qualifies for the competition. Not only will he have to defeat his formidable rivals – including arrogant champion and bully Ripslinger (Roger Craig Smith) – he must also overcome fear of heights. You can guess what transpires next. Where other animated fare has taken the time to get audiences invested in the lead character’s journey, with Planes we’re not given a chance to (Dusty is racing in double-quick time). Additionally, screenwriter Jeffrey M. Howard packs the film with one-note, stock characters that have little to no personality of their own. Despite the solid voice cast (John Cleese, Val Kilmer et al), the vast majority of the jokes fall flat, with only Carlos Alazraqui’s hispanic plane El Chupacabra proving to be amusing. Planes was initially planned as a DTV feature, but was upgraded to a theatrical release after some early footage impressed Disney bosses. It’s the aerial sequences which have cinematic quality, and it’s here where film is at its most fun. Even so, much of the animation looks very ordinary and at times cheap, with the dull scenery another missed opportunity in a film chocked full of them. 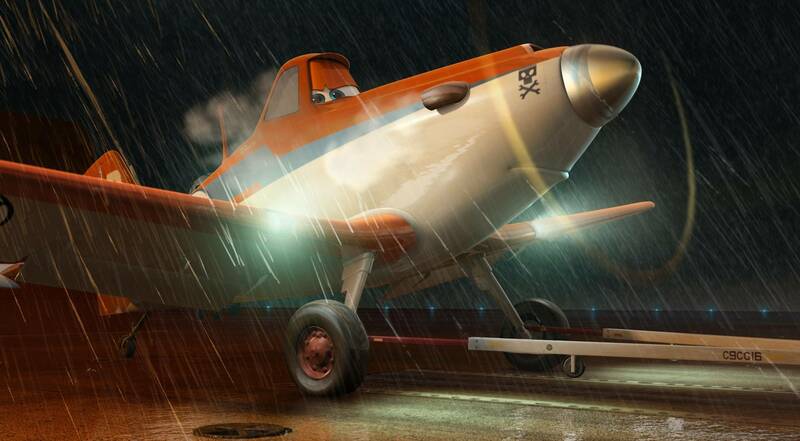 There’s no doubting that Hall’s Planes will appeal to its core demographic of young children, but in an era where animated films have been ambitious and fulfilling – with many of those innovative projects coming from Disney Pixar HQ – Planes comes across as a safe and ultimately disappointing animated excursion that stinks of a cash-grab. Sequels have already apparently been green-lit, and one would hope that the next time we venture into this world the quality will have been substantially upped. This entry was posted on August 16, 2013 by Amonymous. It was filed under Film Reviews and was tagged with Brad Garrett, Carlos Alazraqui, Dane Cook, Disney, Pixar, Planes, Priyanka Chopra, Roger Craig Smith, Stacy Keach, Teri Hatcher, Val Kilmer.